December 16th in WordPress Themes by Wordpress Jedi . QuickFood: a delivery and takeaway food theme based on Bootstrap 3. It is powered by Redux and Visual Composer. Your visitors will be able to complete their orders on your website. 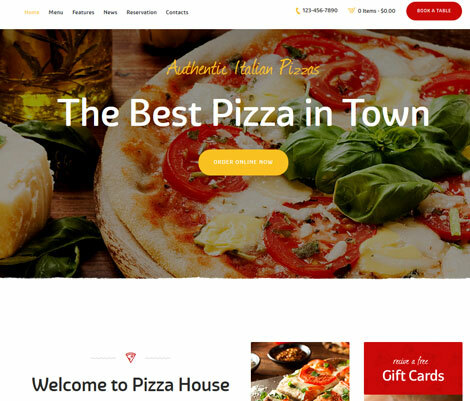 Pizza House: a WordPress theme for restaurants and cafes with WooCommerce integration. It is coded in HTML5 and CSS3. Lets you display your menu in a professional manner. 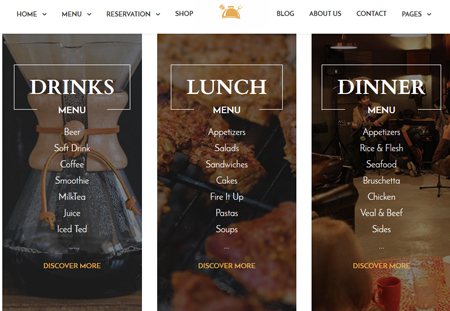 Grand Restaurant: this theme has 3 menu layouts, 5 blog layouts, and 4 contact templates. It supports WooCommerce. 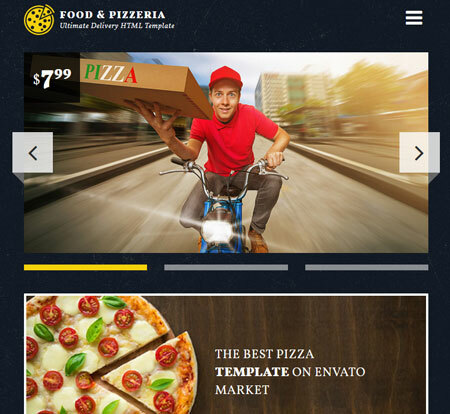 Food & Pizzeria: a food delivery theme for restaurants and shops. It has a responsive design ready for retina displays. It has 3 skins. SimpleCafe: a modern theme with a drag & drop page builder, Google fonts, custom page layouts, WooCommerce supports, and a responsive design. 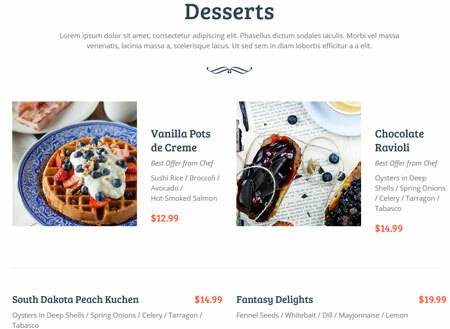 Food Delivery: a responsive, fully customizable theme powered by Cherry Framework. It has Google fonts, audio/video integration, custom page templates, and social options. 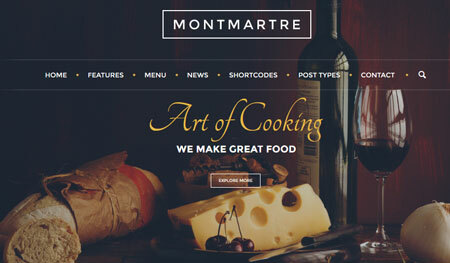 Montmartre: a WooCommerce restaurant theme that supports the Events Calendar plugin. It lets you create one page websites. Coded in HTML5 and CSS3. 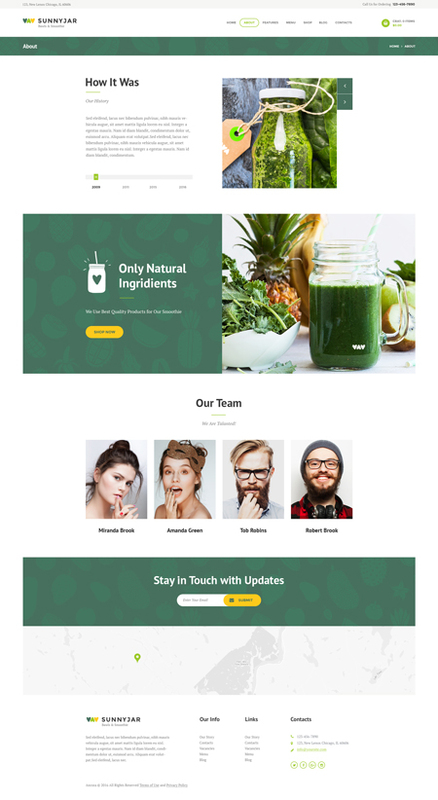 SunnyJar: a smoothie bar and healthy drinks shop theme with 2 homepage layouts and Visual Composer. It is WooCommerce ready. 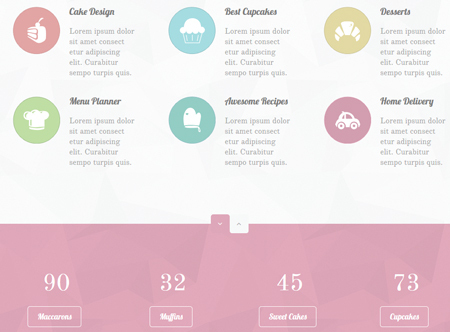 Sweet Cake: a theme for bakeries, coffee shops, and other similar businesses. It comes with Slider Revolution and Visual Composer. Lets you add all your locations, change colors, and more. 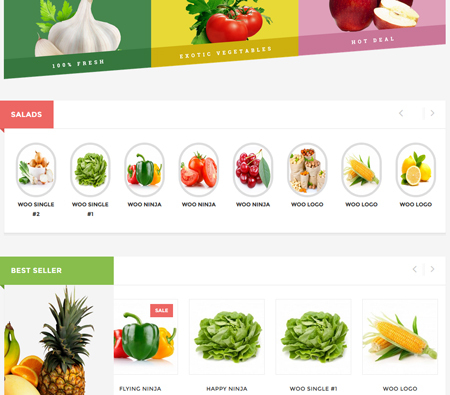 Chili: a WooCommerce ready theme with a fully responsive design. It is MailChimp friendly. Has pages for your menu, chefs, reservations, blog, and business info. 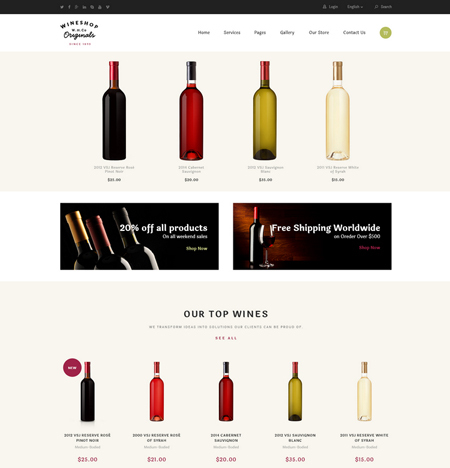 WineShop: a theme for online wine stores. It has 4 homepage layouts, a retina ready design, Google fonts, and WooCommerce integration. 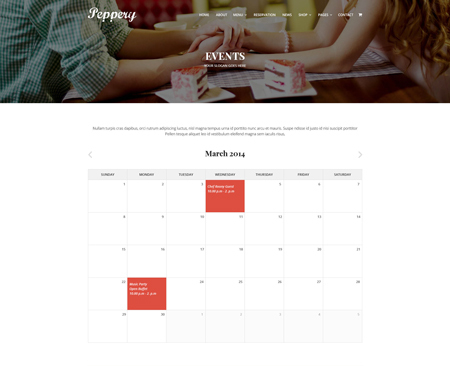 Peppery: a restaurant theme with multiple page variations, a mega menu system, Slider Revolution, and Visual Composer integration. It is ready to be translated. 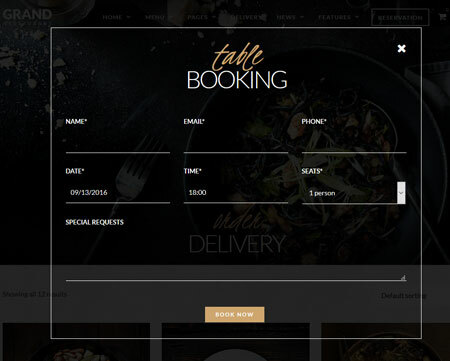 NEM: a responsive restaurant theme with a beautiful menu system, Slider Revolution, and WooCommerce support. It supports RTL languages. 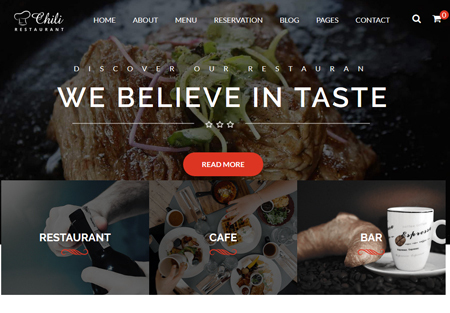 Flavours: a WooCommerce restaurant theme to sell food items and everything else online. It has a clean, responsive design. 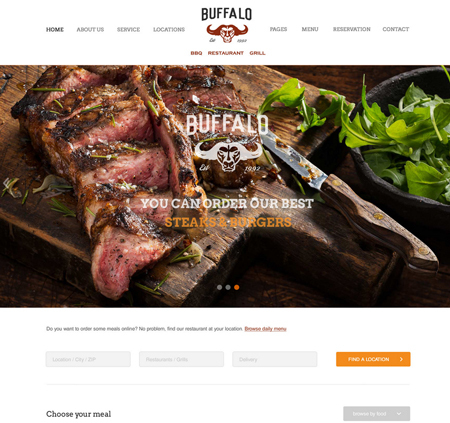 Buffalo: has 3 homepages with a responsive design. It helps your visitors make reservations and locate your places. Another WooCommerce theme with Visual Composer. 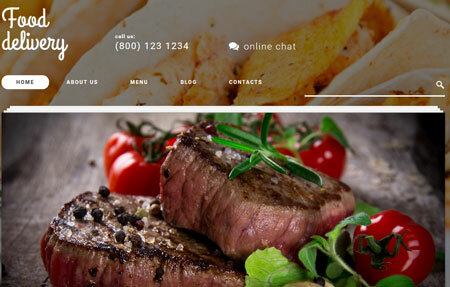 Have you found better looking online food delivery themes? Please share them here.